Is Insurance Covered on a Lease Car? Is my insurance covered in my lease contract? 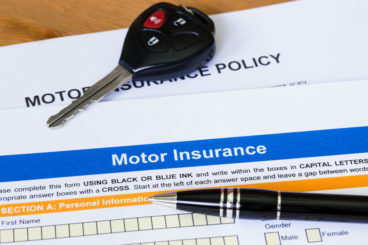 You’ve decided to lease a car and you need to start thinking about insurance. 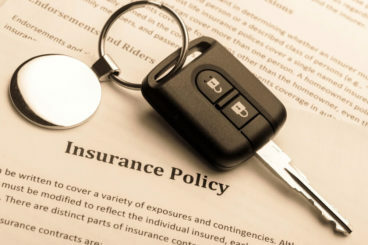 Is insurance covered on a lease car? Before we go further, we should say that we aren’t insurance experts. However, we know enough to educate you about it. So we’ve written an article explaining whether insurance is covered on a lease, what affects lease price, and what you can do to lower the price. Is the insurance covered on a lease car? The short answer is; no. The long answer is; no, sorry. When you lease a car you have to pay for insurance. Around 99% of the time, you won’t find a lease contract that includes insurance. This means that you’ll have to find the insurance yourself. There are some brokers that have relationships with insurance companies so you can insure your car through them. The benefit of this is that if you go through a reputable broker then you can be sure the insurance company is reputable. However, just because they are reputable doesn’t mean they are going to get you the best deal. Therefore, although you are saving hassle, you might not be saving money. If your car broker says they do handle insurance, make sure you see confirmation of FCA compliance. This is because a majority of vehicle brokers will not have the necessary training or accreditations to handle your insurance effectively. If they confirm their FCA compliance, then this ensures that they are qualified to talk about insurance. Ultimately though, nine times out of ten it’s up to you to organise your insurance. It should be noted here that insurance can be pricey. And the price can differ greatly. Therefore it is important that you take into consideration the cost of insurance before you agree to anything. This is because the cost of the insurance could take your monthly payments up and over your budget. So that super cheap car might not be so cheap when you take the insurance into consideration. As you can see, there is a lot to the cost of insurance other than just what car you’re driving. When you lease a car, this will have an impact on the price of your insurance. This is because when you lease a car, you have to get fully comprehensive insurance. This is because you do not own the car. Therefore, the financial interest does not lie with you. And naturally, fully comprehensive is more expensive than third party or third party fire and theft. Fully comprehensive insurance is one of the highest forms of cover for your car, and covers pretty much everything. This is opposed to third party or third party fire and theft. These insurance policies only cover the damage you have done to other people’s cars. Any damage to your own car in the process is yours to deal with. You have to get fully comprehensive insurance with every lease contract. Every finance house will stipulate this in their contract. How much does it cost to insure a lease car? Honestly, there’s nothing to determine how much it will cost. This is because of the factors we mentioned earlier. Of course, fully comprehensive insurance will cost more than third party but that’s about as much as we can tell you. Sorry. How can I get cheaper insurance for my lease car? The only way you can get cheaper insurance is to go for a cheaper car. Sorry. But honestly, the smaller the investment the insurer has to cover, the less you will have to pay to make up the difference should you make a claim. The only way to lower that price is by going for a cheaper vehicle. Can someone else be insured to drive my lease car? Yes they can. It’s quite a common myth that you can be the only one to drive your lease car. But this isn’t the case. In fact, insuring someone else on your lease car is pretty straightforward. The first thing you have to do is make sure you trust them. It sounds silly, but make sure you trust your eighteen year old enough to take care of your Mercedes. Once you’ve done that, you just let the insurance company know that you want to add them to your insurance. They will calculate the new cost of the insurance. Once that’s paid, they’re good to go. It’s not essential to tell the finance house, but if you’re unsure, it would be wise to let them know. What should I look for when looking at insurance companies? You should treat insurance companies like vehicle brokers. This means being careful when choosing who to insure your car from. Sometimes terms and conditions can be so restrictive, you can’t claim for anything. So no, your insurance is not covered in your lease contract. There are vehicle brokers that have relationships with insurance companies/brokers that you can go through. But, you can’t guarantee that you will be getting the best deal. We recommend shopping around before you decide anything. Also, it’s important that you take the insurance into consideration before you sign your lease contract. Fully comprehensive insurance can be expensive, and it can bump the price of your monthly payments.